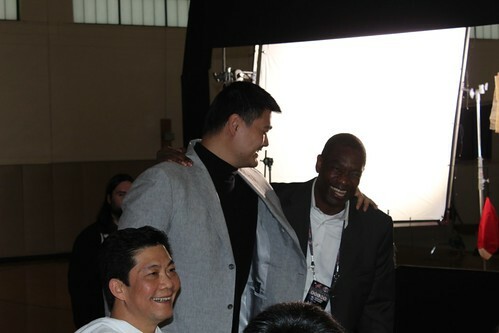 Yao and Dikembe meet for the first time in a long time. 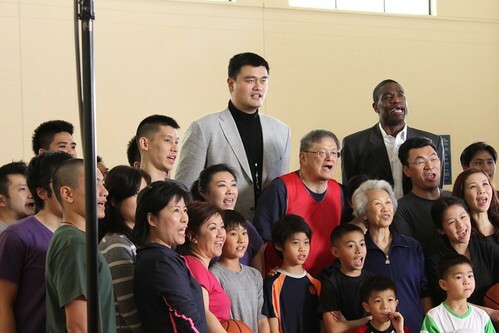 Reportedly the consumption of shark fin soup is down 50% since Yao took up the cause to prevent the massive killings of sharks for the delicacy. 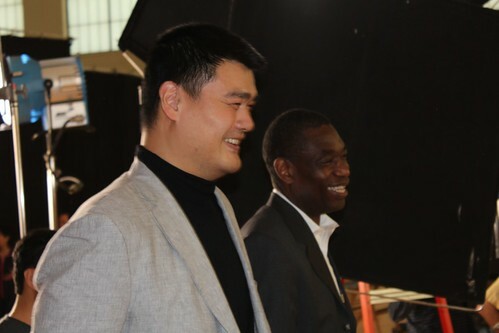 That said, Yao said that having Jeremy helping out will be a huge advancement since he is so well regarded in China where most shark fin consumption occurs. 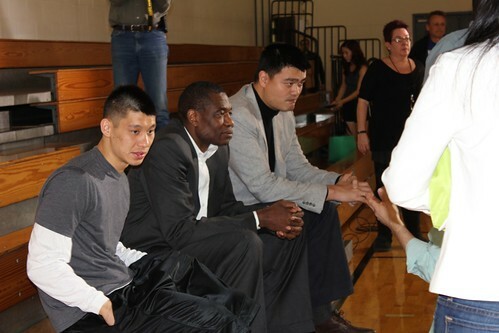 Immediately afterwards, Yao went to the Houston Zoo to meet with children to educate them about rhinos and elephants. 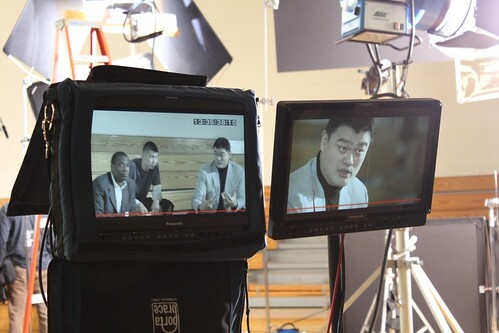 I’ll post those pics a little later. This entry was posted on Thursday, February 14th, 2013 at 7:30 pm	and is filed under Charity work. You can follow any responses to this entry through the RSS 2.0 feed.